Office Lady who still trying to chasing a dream. Personal Quote: Believe in yourself, otherwise nobody else believe in you. Last year, I'd got a chance to jam in 's Illust book Project. This is Detail of the book by her. 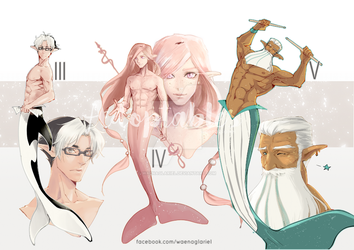 I didn't up anything on DA for a long time. I'm so busy with many projects. Symphony#2 is the latest project that I just finished. The Symphony no. 2 is the anthology of 11 Thai artists, which also the second artworks collection after the "Room no. 1". This book is published in English to be easier for international readers. 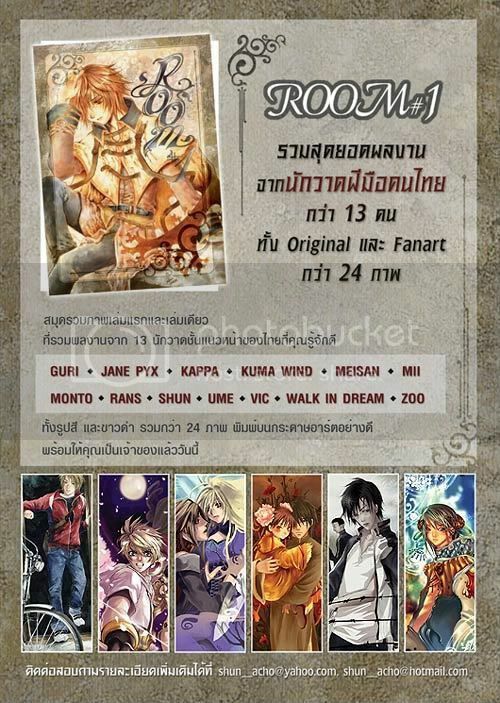 For "Room#1", it's the first illustration book of 13 Thai artists. Released on Oct 2004. 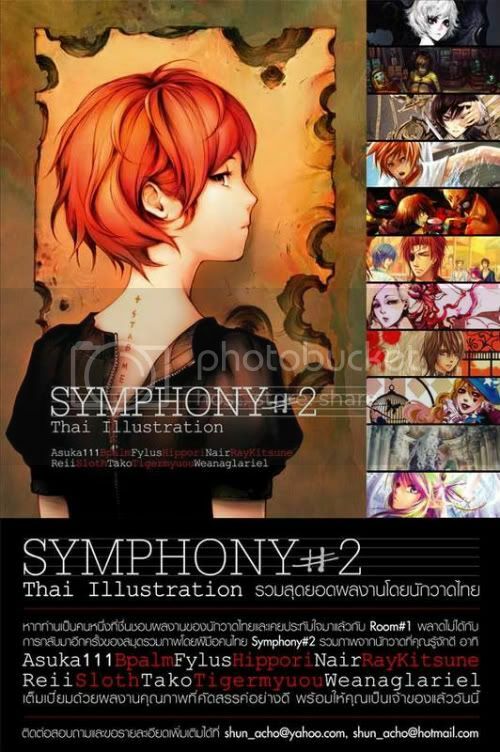 12 color pictures, 12 black&white pictures and 13 artists profile (Thai language). 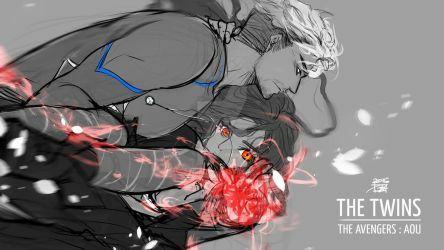 *for sample pictures of this 2 books please see my deviations. It you want to buy this 2 books please see detail below. shipping method : All items will be shipped by registered airmail. I can combine all products and ship them together for save your shipping cost. 2. Book name and amount you want to buy. After I recieved your order, I will send you a confirmation email including final price and exact shipping fee. Please don't send payment before you receive a confirm email from me. HAPPY BIRTHDAY!! Eat lots and lots of cake! !